John is a Professor Emeritus of the University of New South Wales (UNSW). He was Vice-Chancellor and President of UNSW from 1992 to 2002, having joined UNSW from ANU in 1973 as Professor of Economics. He was on the faculty at Cornell University and served as President of the Australian Vice-Chancellors' Committee from 1998 to 1999. John is a Past President of the National Trust of Australia (NSW). He is a former Chief Executive of the State Pollution Control Commission, Executive Chairman of the Environment Protection Authority and Chairman of the Centennial and Moore Park Trust in Sydney. He has served on the Australian Universities Council, the Prime Minister's Science, Engineering and Innovation Council, the Boards of realestate.com.au Limited (as Chairman), St Vincent's Hospital and the Sydney Symphony Orchestra Foundation, and the Sydney Olympic bid's Building Commission. Steve has extensive global management experience, previously holding the positions of Managing Director of OTC, Group Managing Director of Telstra and Managing Director of British Telecom Asia Pacific. 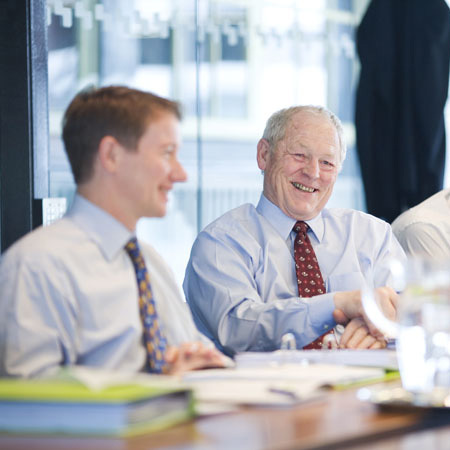 In addition, Steve has experience as a non-executive director on over a dozen private and public company boards in Australia, New Zealand, India and Japan. He is currently a Visiting Professor of Management at the University of Technology Sydney and CASS Business School London. He is a Fellow of the Australian Institute of Company Directors, Australian Institute of Management (AIM), and Institution of Engineers Australia respectively. *Professor Steve Burdon is a Transfield nominated director however he also meets the test of "External Director" as defined in section 601JA of the Corporations Act and the assessment of independence under the ASX Corporate Governance Council's "Principles of Good Corporate Governance and Best Practice Recommendations". Walter Carpenter commenced his career in 1980 with Price Waterhouse in Sydney, before moving into merchant banking in 1983 with ABN Bank. He then worked with Lloyds Bank and Jardine Fleming gaining a comprehensive understanding of corporate and project finance. 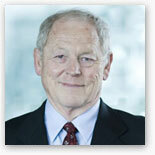 Walter joined the First Pacific Davies Group as General Manager, Hong Kong in 1989. 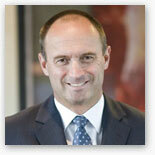 In 1992, he returned to Sydney to establish a commercial real estate agency and property management business. Under his leadership the business grew to employ over 1,000 people across Australia. Walter sold his interest in the business to Savills Plc in 2003 and continued as Chief Executive of the organisation until mid 2006. Walter is currently a member of the World Presidents Organisation and is Chief Executive Officer of Flat Glass Industries Ltd. He is the Chairman of Middle Harbour Yacht Club in addition to being a director of Campus Living Funds Management Limited. 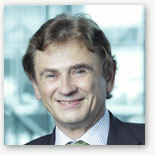 Nicholas is Chief Financial Officer at Transfield Holdings. While at Transfield, Nicholas has had responsibility for overseeing the financial performance of Campus Living Villages and was closely involved in the acquisition of the US Student Accommodation Portfolio and establishment of the Fund. Nicholas has extensive experience in investment and transaction management in infrastructure and property. 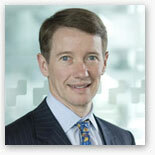 Prior to joining Transfield in November 2005, Nicholas was a Director of Deutsche Bank in London from 2004 to 2005. He was with Macquarie Bank from 1993 to 2004, where he worked as a Division Director in Sydney, London and New York. Nicholas was associated with or led many of Macquarie Bank's landmark infrastructure transactions, including the establishment of the Macquarie Infrastructure Group (MIG) and the acquisition, financing and ongoing management of a number of motorway assets for MIG. Gayle is a finance professional with extensive audit and risk management experience. In 1994, she joined QBE Insurance Group Limited as group Financial Controller and became the Group's first Chief Risk Officer, a position she held until her retirement from full-time employment in 2006. Prior to joining QBE, Gayle spent 14 years in public accounting, qualifying as a chartered accountant in Canada in 1981 and then working with Coopers & Lybrand in Bermuda and Australia for 11 years. 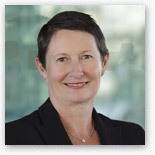 Gayle was previously a director of many QBE subsidiaries in Australia, Bermuda and Europe and until 2005 chaired the Insurance Council of Australia/Australian Prudential Regulation Authority (APRA) Liaison Working Party, an industry committee that worked closely with the APRA to develop prudential reforms for the general insurance industry. Gayle is a Fellow of the Australian Institute of Company Directors (FAICD), Fellow of the Institute of Chartered Accountants in Australia (FCA) and member of the Canadian Institute of Chartered Accountants.